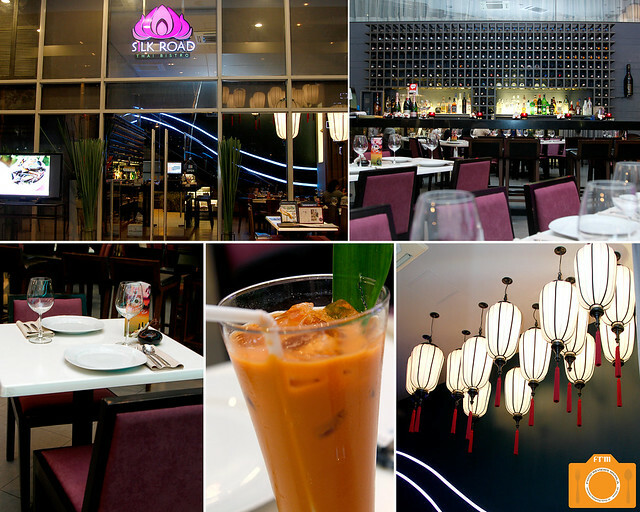 If you're hankering for some Thai food, Silk Road is probably one of the best restaurants to visit to satiate those cravings. This modern bistro is a brain child of Chef Cecille Chang, and aims to give you a contemporary Thai experience in a setting far removed from the streets of Bangkok. They have wines, cocktails, and other liquor, backed up by the bottles seen behind the bar. But when in a Thai place, I usually go for their Thai Milk Tea, the sweet blend very fitting for their spicy profferings, as the milk gently tempers each kick. The starters alone are enough to warrant return visits. 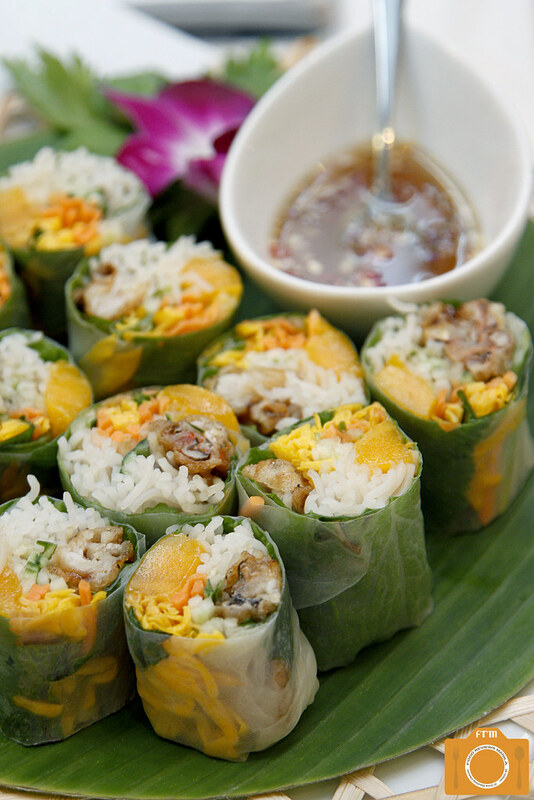 There's the Soft Shell Crab Roll with mustard leaf, rice noodles, mango, and herbs wrapped in thin rice paper. I would have preferred to get more of that soft shell crab, but the combination of everything especially when drizzled with a bit of that sweet salty sauce still compels you to take another piece. Another is the Son-In-Law Eggs, whose name allegedly stems from a tale of a mother-in-law's subtle threat to a misbehaving son-in-law, albeit perhaps there are other stories that may support this humorous dish title. They're hard-boiled eggs bedaubed with sweet tamarind sauce, and yes, you eat it with the leaf so go ahead and start wrapping. Want more? 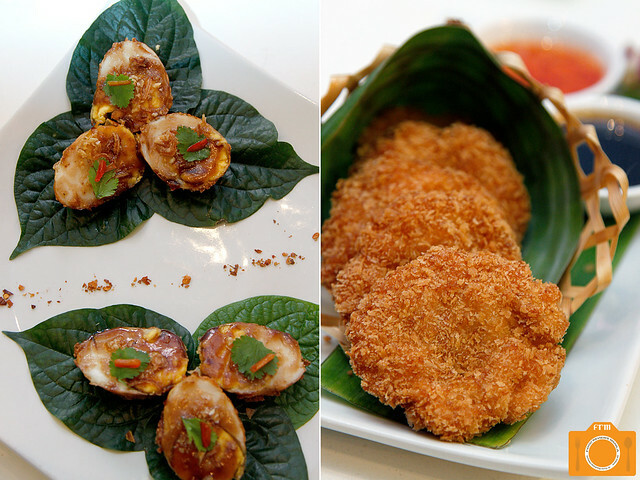 Get the crisp Prawn Cakes, and dip it alternately into the accompanying sweet chili sauce and caramelized tamarind puree. 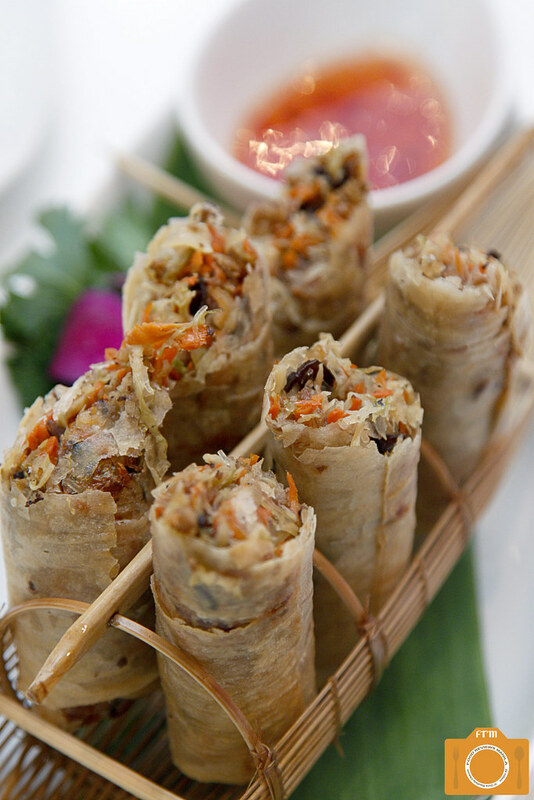 One other fine appetizer is the Thai Spring Rolls, also served with sweet chili sauce, whose saporous mix of vegetables and herbs is preceded by a thundering crunch. 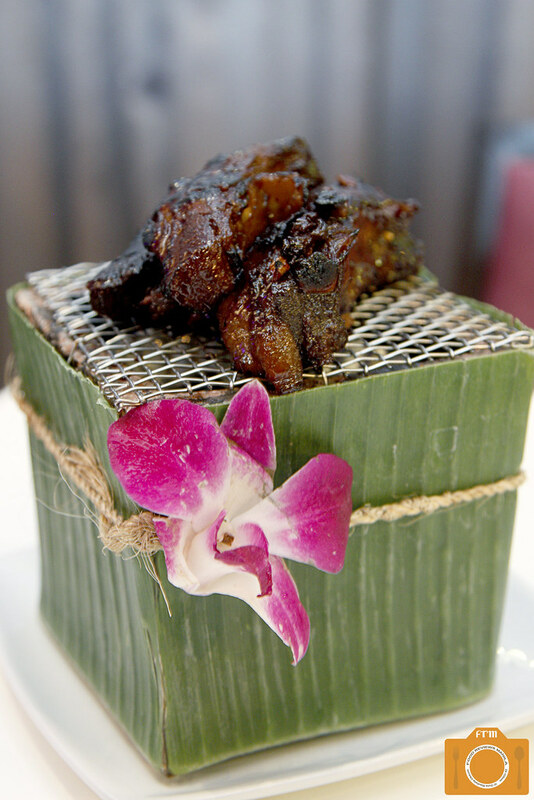 Moving on to the mains, something meaty like the Siamese Pork Ribs will comfort the porcine lovers with its tender ribs lathered in viscid cinnamon caramel. Fish options include the Crispy Tilapia with Tamarind Puree and Kha. Tilapia is one of the very few fish I eat; I love it fried especially if it's already cut into strips. Add to that some sweet tamarind sauce, and you've got yourself an addicting little dish guaranteed to elicit either the usual polite inquiries on who would have the last piece among friends or fork fighting for the last piece among siblings. If you got the short end of the stick, fret not. The Kha, which is fish fillet tossed in caramelized ginger chili sauce making it also a bit sweet, is a pretty good alternative. Be sure to get plenty before the rest find out how delectable it is, too. I love chicken wraps and it's nice to see they have their own version here. For a different experience of minced chicken, you can also try their Chicken Basil, which has string beans, and crowned with fried egg. If you're in the mood for curry, try the Lamb Shank Massaman, served with crispy noodles, sweet potato chips, and shallots. It's slowly cooked for 8 hours resulting in fall-off-the-bone meat with a hint of gamey taste. One cannot eat at a Thai joint without having the Pad Thai. 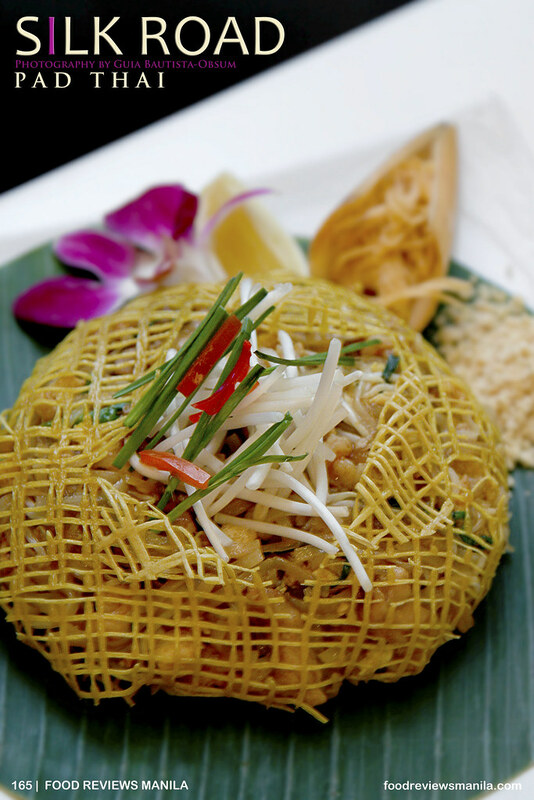 And this beautiful Pad Thai from Silk Road is ensconced in an intricate egg nest. 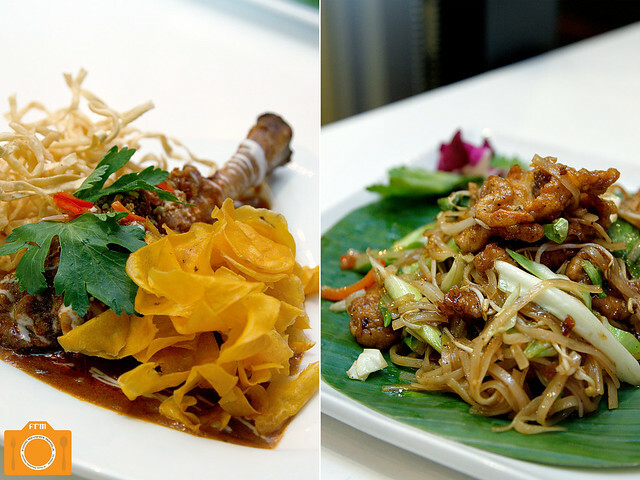 You'll surely love every bite comprising rice noodles, pork, shrimps, egg, and bean sprouts. The down side of having such good pad thai is that you fail to appreciate other noodle dishes like the Black Pepper Noodle that was also served. Finally, for dessert, I must say Silk Road has a worthwhile list that makes choosing only one or two quite a challenging task. 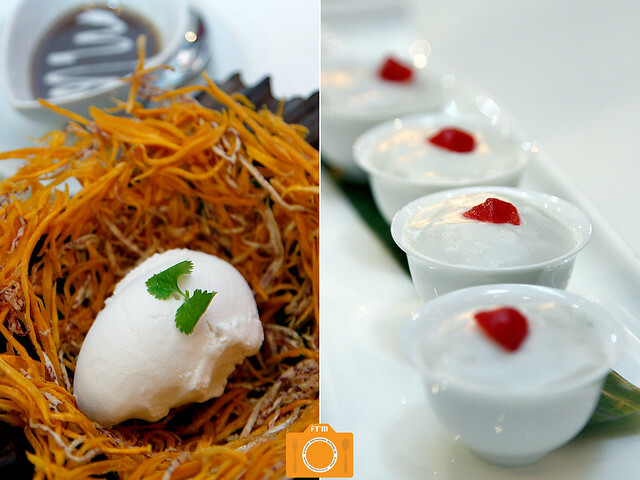 The Silk Nest is made of crisp taro and sweet potato strings, while the "egg" is a large quenelle of coconut ice cream. Pour some of that viscous coconut syrup, and enjoy the play of textures and temperatures in your mouth. The Takhoo Thai is another interesting creation: tapioca pearl pudding topped with coconut custard. Is that water chestnut I detect surfacing in some bites? Whatever it is, the crunch it provides goes nicely with the whole thing. 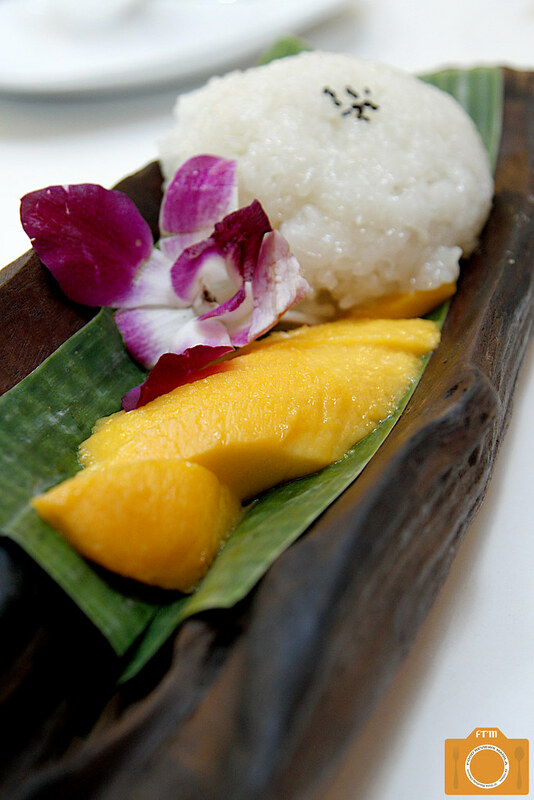 And of course, who could pass up on the classic Sticky Rice with Mango? Certainly no one especially when the plating is so pretty and the mango slices are oh so sweet. My second visit to Silk Road---this time with my mom and daughters---was again a delight. Even my mom, who's very picky when it comes to restaurants (certainly hard to please), enjoyed and appreciated the dishes we ordered. Another appetizer to add to your to-try list is the Thai Ravioli which has a generous amount of sesame beef and shiitake mushrooms hidden inside freshly made steamed rice paper. The flavors celebrate inside your mouth successfully giving you that Thai feel. The Siamese Pork Ribs goes well with the Khao Pad which is composed of chicken (or you can opt for pork), egg, and kaffir, served with nam pla prik (Thai fish sauce). 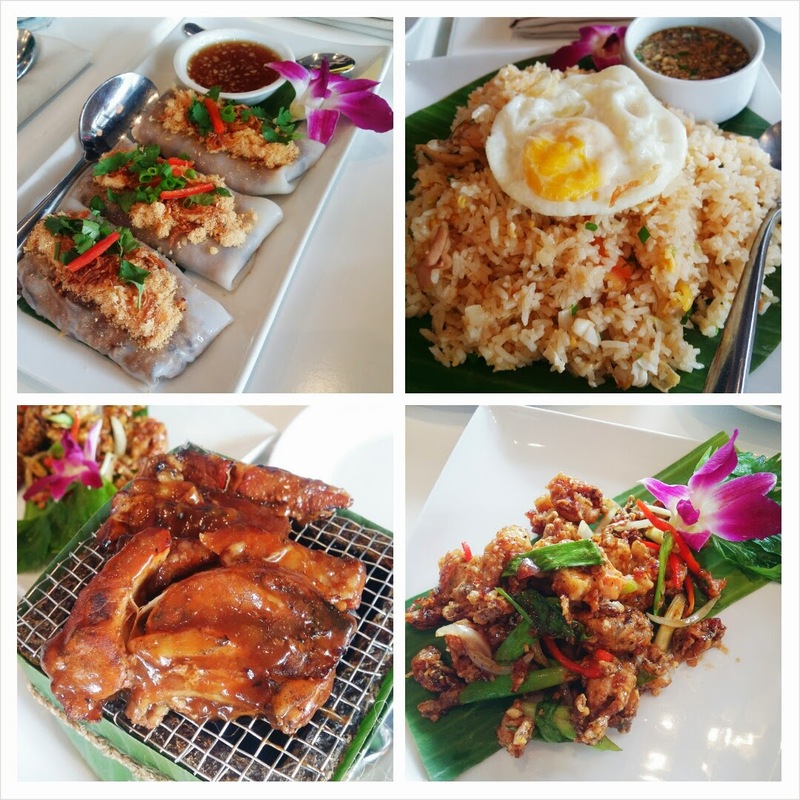 The rice is abundant and yet the flavors do not overwhelm the profile of the viands it's paired with. I've mentioned my propensity for anything soft shell crab, so it's obvious I would gravitate toward the Black Pepper Soft Shell Crab, which is good as well -- it has a sweet slightly peppery sauce that embraces each piece, but I would have loved more crunch. 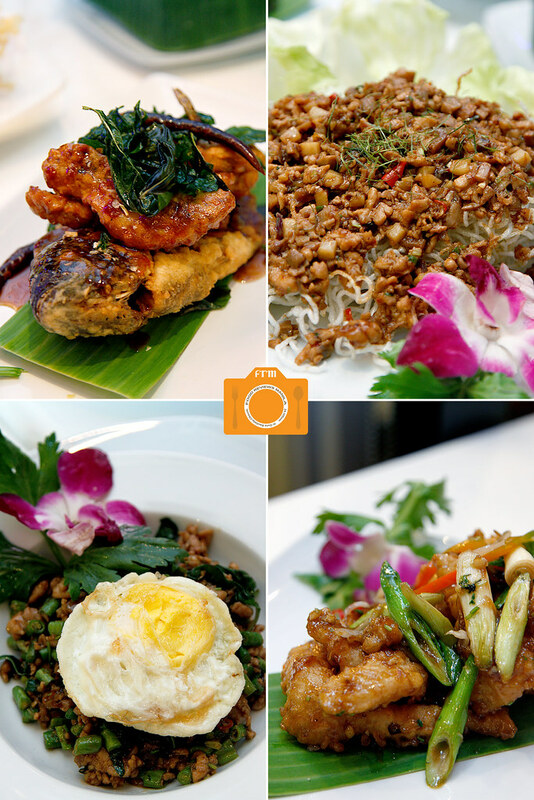 Safe to say, Silk Road does a very good job of providing Thai cuisine enthusiasts a delicious modern experience, as well as a pleasurable gateway encounter to those unfamiliar with or new to this Asian food.